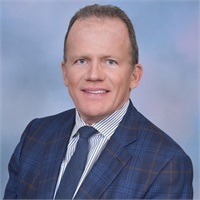 Jack is a member of The Monmouth County Society of Financial Service Professionals and the Newark Chapter of the National Association of Insurance and Financial Advisors. He began his career with The Guardian Life Insurance Company in 1981 after attending St. Bonaventure University. Jack has earned numerous honors and industry accolades throughout the course of his distinguished career. He has served 21 times as a member of Guardian’s “Executive Committee”, and has serviced as Vice President of the 2007-2008 Executive Committee. Jack is a sought out speaker on various financial subjects both domestically and internationally and an industry mentor to hundreds of career financial professionals. Jack, his wife, Iwona, and three daughters, Alexandria, Brielle and Courtney reside in Rumson, New Jersey.